The role of business entities in liability planning for physicians. Planning Tip #1: Physicians should not rely on insurance as their sole means of liability protection since the cost of a comprehensive policy may be prohibitive, and each type of policy has numerous exceptions to coverage. Instead, insurance should be used as one layer of a multi-layer strategy designed to place a barrier between the physician’s business and personal assets and the claims of a plaintiff. In addition, physicians should work with an insurance professional who can explain the purpose of each type of coverage, make recommendations for liability limits and deductibles, and shop around for the best coverage on an annual basis. Planning Tip #2: Physicians should consult with an experienced asset protection attorney in their state of residence to determine which state exemptions are available and how much they can protect. It is also important to understand the pros and cons of each type of exemption. For example, while tenants by the entirety co-ownership between the physician and their spouse may make sense in the short term, in the long run it can become completely useless if the couple divorces or if the non-physician spouse dies first. As with liability insurance, exemption planning is best used as one layer of an overall asset protection strategy. Business entities include partnerships, limited liability companies, and corporations. Physicians who own their own practice need to mitigate the risks and liabilities associated with owning a business (just like any other business owner) through the use of one or more business entities. Physicians should work closely with a business planning attorney to determine the right structure for their practice by not only taking into consideration asset protection, but also income taxes, estate planning, retirement funding, and business succession goals. Business entities can also be an effective tool for protecting a physician’s personal assets from lawsuits. In many states, assets held within a limited partnership or a limited liability company are protected from the personal creditors of an owner. In addition, the personal creditors of an owner cannot step into the owner’s shoes and take over the business. Instead, the creditor is limited to a “charging order” which only gives the creditor the rights of an assignee. In general this limits the creditor to receiving distributions from the entity if and when they are made. An added benefit of using a limited partnership or limited liability company to protect a physician’s personal assets is the leverage that can be created for gifting and wealth transfer planning through the use of valuation discounts. With a properly structured limited liability entity, assets held within the entity will be entitled to a discounted valuation for tax purposes because of lack of control, the lack of marketability of the interests in the entity, and the inability of owners to simply to walk away from the business and take their ownership interests with them. Discounts on the value of the entity’s underlying assets can range from 20% to over 50%. Valuation discounts allow the physician to gift entity interests for cents on the dollar and at a reduced use of the lifetime gift tax exemption. 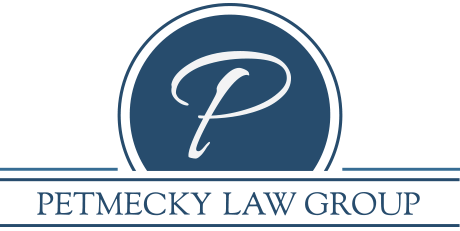 Planning Tip #3: Creating a business entity that protects a physician’s assets from lawsuits involves much more than just filing some forms with the state division of corporations and paying an annual fee. Business formalities must be observed and documented, otherwise a creditor can attack the entity through “veil piercing” or “constructive trust” or “alter ego” arguments. In addition, state laws governing business entities vary widely and are constantly changing due to legislative action and court decisions. Therefore, it is important for physicians to work with a business planning attorney who assists with documenting business formalities and keeps on top of changes in applicable laws. Finally, as with liability insurance and state exemptions, business entities should be used in conjunction with other asset protection strategies. Physicians are constant targets for lawsuits both professionally and personally, because they are perceived to have “deep pockets.” You can add value to your relationships with your physician clients by helping them identify ways to protect and preserve their business and personal assets. We are experienced with helping physicians create effective, multi-layered asset protection plans. Please call us if you have any questions about this type of planning and to arrange for liability protection consultations for your physician clients.